There’s nothing prehistoric about CogniToys, the Wi-Fi-enabled, educational smart toy dinosaurs that learn and grow with children. 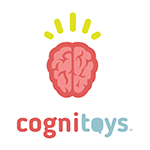 Loaded with fun personalities and tons of information, CogniToys are redefining learning in the digital age. The curious and conversational Dinos are powered by IBM Watson and Elemental Path’s “Friendgine” technology, allowing them to deliver the kind of personalized play experience every child deserves.